Oh my sweet, sweet Reesie Bug! 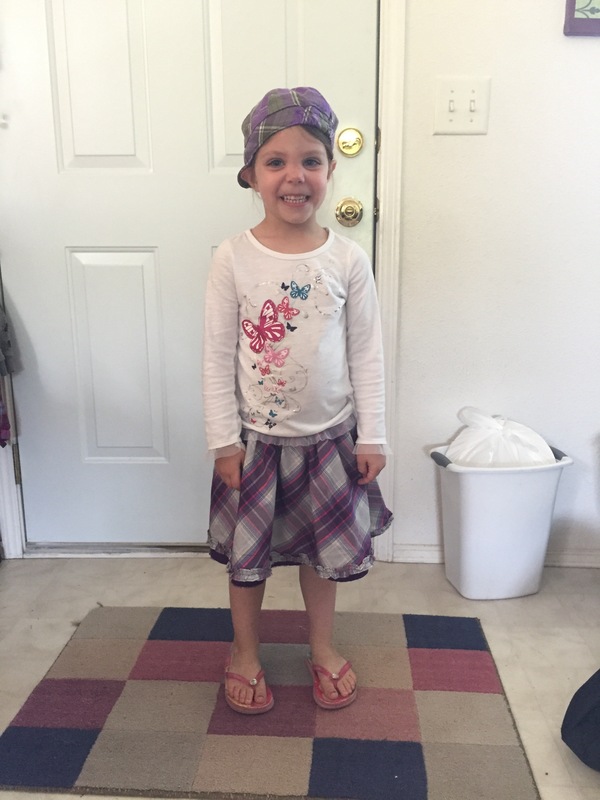 You guys remember that little weekly installment I used to do called “Friday Fashion Police” where I would highlight one of Rylee’s AWESOME outfits from the week? Well my friends, Reese is prime age for picking out her own outfits and figuring out her unique style. I hadn’t been taking photos of it, when my best friend told me I should blog it like I used to do with Rylee. Can you keep a secret? I had nearly forgotten that I use to do that! So anyway, you all can thank Julia for the revival of this! On this particular day, Reese had been wearing jeans with that sweet little butterfly shirt. But when she decided to tag along with Andy on a few errands, I told her she needed to change out of her jeans because it was too hot out. So she came out of her room in this fantastic ensemble. And she was SO proud of herself. And as a true second born sibling, y’all may remember this skirt from about 5 years ago… seriously… where does time go!? This entry was posted in fashion police, Full of Awesome, Reese on May 17, 2016 by katherine.